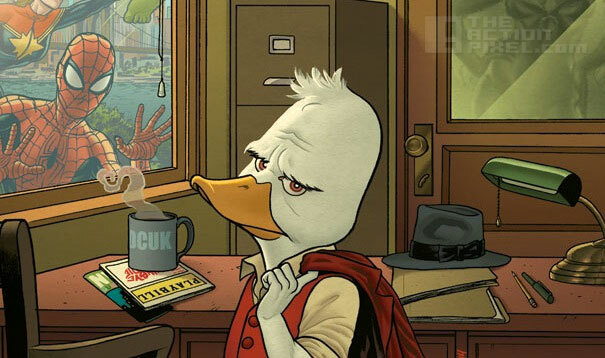 The last time Howard the Duck appeared in his own comic was in 2001, but has appeared more recently in box office favourite Guardians of the Galaxy. Featured in the collection of the “The Collector”, and in the post credits scene. Now, I won’t spoil anything, but he’s still got his same classic wit. Seems now it was perhaps a taster for this new series. I have no doubt that next they’ll be announcing a new movie soon. Please don’t ruin this one, Marvel.